At one time Magic City seemed to have the food writers in a tizz, eager to outdo each other in espousing the virtues of this restaurant. When we eventually bit the bullet and dined, it failed to live up to the hype. Now that the buzz has long gone we decided it was time for another visit. I must say it was quite a surreal experience - as we were waiting for our food, we both had come to the realisation that Paalo was the only man dining in the restaurant - the only man out of 38 diners! This really is a place for the LWL (ladies who lunch). 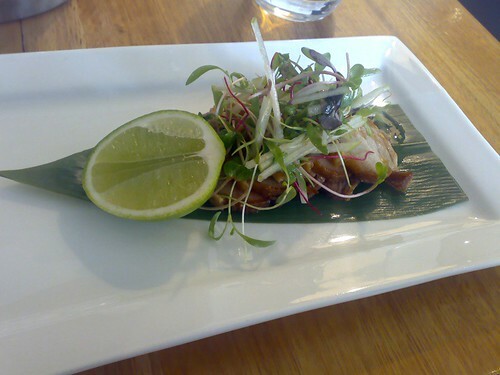 Paalo chose the Free range Asian Pork with Thai Pear Salad and Apple Plum Sauce. 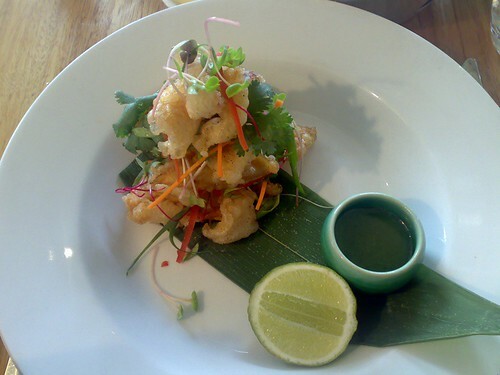 I chose the Salt and pepper calamari with herb salad and sweet chilli dressing - nicely spiced with a good crunch. 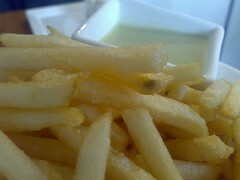 A wasabi sauce accompanies the french fries. 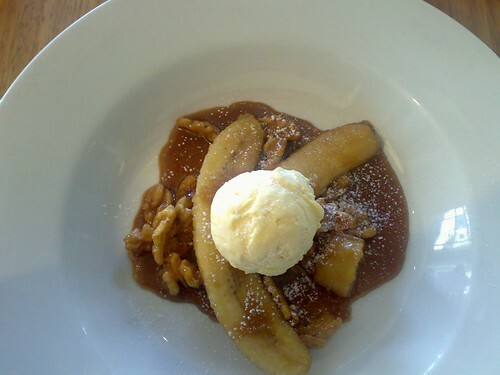 With banana's being a luxury, I've opted for the rum bananas with caramel, walnuts and ice cream. 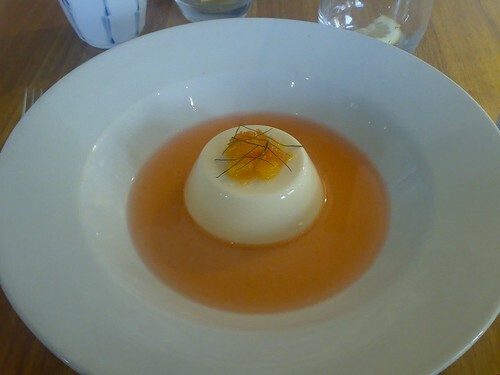 Paalo choose the kaffir lime leaf panna cotta.